"A great looking and great fun platform game." 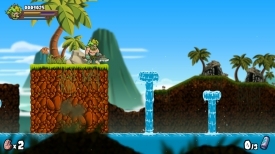 Caveman Warriors alpha demo is a super colorful and bright platform adventure which looks absolutely fantastic it takes a huge amount of inspiration from the classic Caveman Ninjas or latterly known as Joe & Mac. The story starts as aliens over take your Neolithic world and kidnap a couple of children you must set out on a journey battling other cavemen, aliens and all sorts of other characters. The game looks absolutely great and although it takes its inspiration from a game made many, many years ago it definitely has graphics and detail very much of today, it’s recommended to play with a controller however the controls are surprisingly smooth when using the keyboard and it’s very easy to get in to the game whether using a controller or keyboard. Although it’s quite simple in essence being a side scrolling platform game it’s a lot of fun just making your way through the fantastic looking levels and beating up enemies, you will also need to switch between the four available characters at certain points as they will have different but necessary abilities to overcome obstacles that other characters may not be able to. 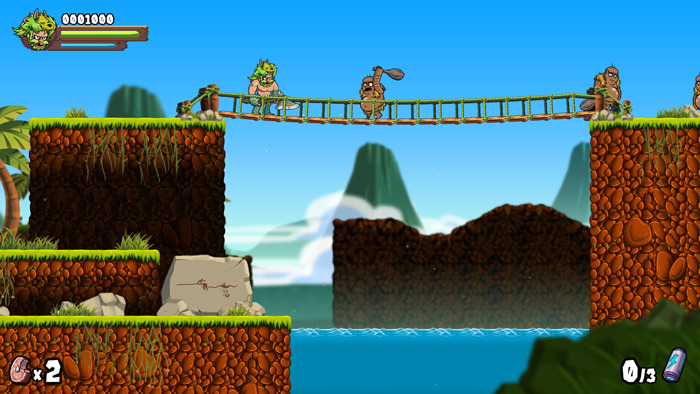 Cavemen Warriors somehow manages to channel the simple games of yesteryear whilst adding game play and looks very much of today and really is something you must download. You can download Cavemen Warriors alpha demo here for free.